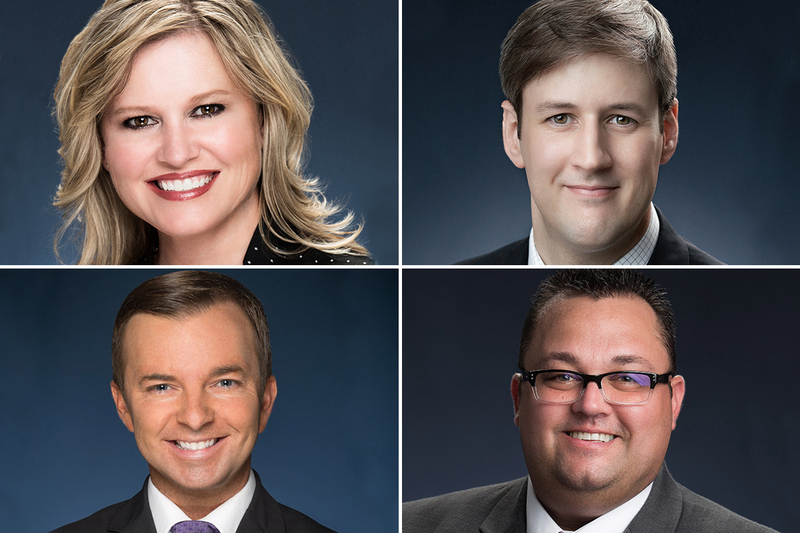 Pictured (clockwise from top left): Carla Brown, Adam Geist, Christopher Wyller, Josh Harris. City National Bank has hired four professionals to add to its growing team in Nashville and Atlanta. Carla Brown joins City National in Nashville as a vice president and senior relationship manager. Brown provides banking, lending and investment expertise to business owners, entrepreneurs and professionals, as well as wealthy families. With more than 20 years of experience, Brown partners with the bank’s team of experts to deliver a full range of services. Chris Wyller joins City National as a vice president with Datafaction, the bank’s specialized accounting solutions subsidiary. Datafaction is a comprehensive accounting solution for business managers and accountants. Wyller, with more than 10 years of experience, will work closely with City National’s team of experts to provide solutions to the family office, sports management, business management and entertainment industries in Nashville, Atlanta and Florida. Adam Geist joins City National in Nashville as a vice president and relationship manager. Geist provides City National’s full range of financial services to entrepreneurs, their families and their businesses in the region. He has more than a decade of wealth management, mergers and acquisitions and capital markets experience. Josh Harris joined City National in Atlanta as a senior vice president with the bank’s Entertainment Banking team. He provides City National’s full complement of services to entertainment, commercial and middle-market companies in the region. Harris has nearly two decades of diverse financial services experience and has served in a variety of roles including retail, credit administration and corporate banking, among others.